Finally, a book that marries two ancient natural approaches to health: Yoga and essential oils (aromatic extracts from plants). 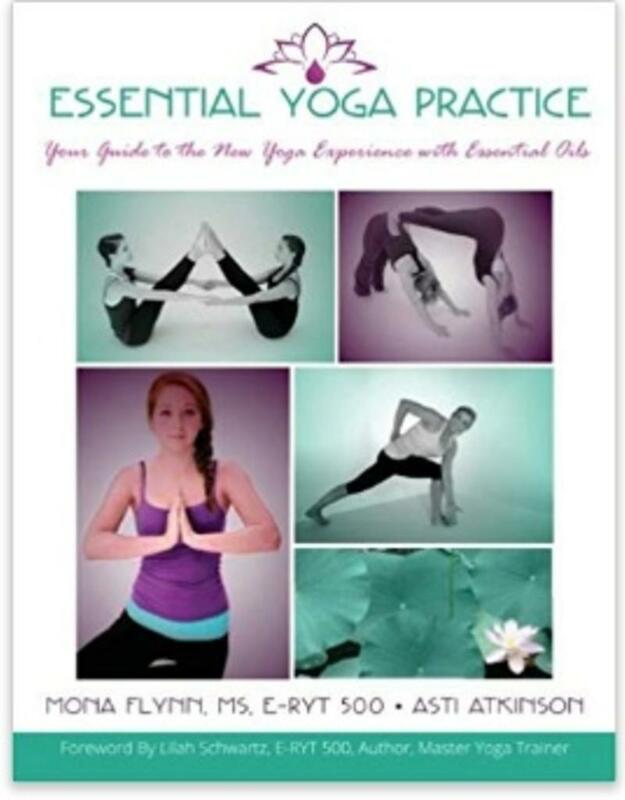 This book provides a solid foundation of both yoga and essential oils for those just starting out in either practice, but also provides additional important insights and instruction for experienced individuals. For anyone seeking to experience synergistic wellness benefits by combining these two approaches, this book is a must. Mona Flynn, MS, RYT-500E, has drawn on her vast experience in the yoga, rehabilitation, and fitness industries to design six original sequences: Morning, Strengthening, Detox, Partner, Sleep Easy and Restorative Practice. Essential oils expert, Asti Atkinson, has layered in targeted use of pure, potent essential oils to heighten and enhance the experience. The sequences are user-friendly and may be accompanied with a DVD to guide you as smoothly and effectively as possible. You'll find yourself feeling more grounded and energized, less stressed and burdened, and ultimately more focused and self-aware. Whether your journey of self-discovery is just beginning or you are a seasoned student or teacher, this guide will lead you toward new levels of personal growth and wellness by combining yoga and essential oils. Yoga teachers and students can deepen their practice by exploring the benefits that pure essential oils can bring to the experience. Marrying these two ancient, natural practices provides synergistic wellness for the body, mind and spirit.